J&D offers several different series of current transformers in various window sizes, current ranges, and accuracy grades. All of the CTs feature the safe low-voltage(0.333Vac) & current outputs(0.1/1/5Aac) for indoor or outdoor use in Harmonics 2nd to 15th (400Hz) or Harmonics 2nd to 63rd (50H or 60Hz) circuits up to 1000Vac. 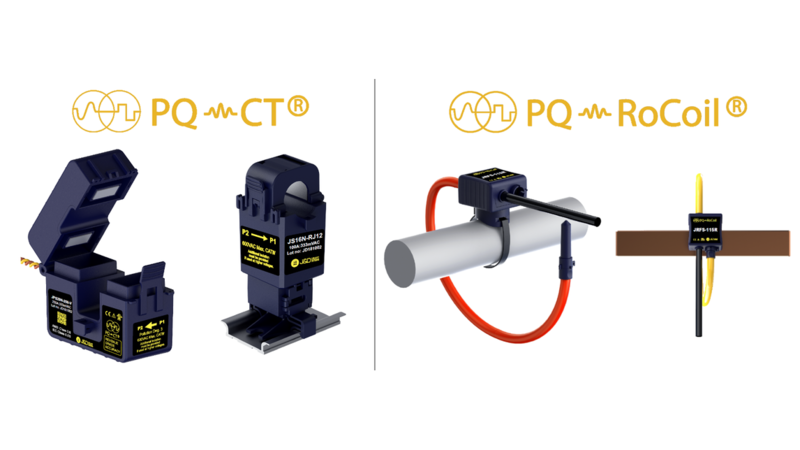 To select a CT, J&D recommends first deciding on a style, either a split-core CT or a flexible Rogowski coil CT, and then choose the model based on your measuring maximum load current, and the size of the conductor being measured.